Are council-owned energy firms failing? Council-owned energy firms, such as Robin Hood and Bristol Energy have helped cut energy costs for thousands of households across the UK. It appears that these cheaper energy deals are coming at a cost though, as taxpayer loans are being used to prop up these not-for-profit schemes as they become loss-making ventures. What are council-owned energy firms? Council-owned energy firms are simply energy suppliers that are run by local authorities to offer households cheaper energy deals than the more established firms. Nottingham City Council launched Britain’s first local authority-run energy supplier in 2015, when Robin Hood Energy set out to take from the Big Six and help poorer households by offering cheaper energy deals. At the time, the Big Six were making huge profits from customers stuck on standard variable rate tariffs, and customers who signed up with Robin Hood were saving hundreds of pounds. A number of council-owned energy firms have since been started in regions across the country, but it seems the tough market conditions that have seen energy prices soar are taking their toll - some suppliers are now relying on taxpayer loans to survive, while others have had to cease trading. Which energy firms are struggling? It’s been a tough 12 months for the UK energy market - soaring prices have seen consumer confidence plummet, and have even contributed to 14 suppliers going out of business, affecting almost 700,000 customers. OurPower, a Scottish not-for-profit energy provider has recently ceased trading, owing taxpayers around £10 million, while Portsmouth-based Victory Energy was scrapped in 2015, following concerns about the viability of the company’s business model. Although Victory Energy never even got as far as taking on any customers, it still cost local taxpayers £2.5 million. 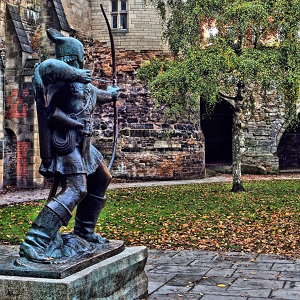 Robin Hood Energy has found itself being propped up by a £25.5 million taxpayer loan, while Bristol Energy has received almost £29 million from taxpayers, after recording losses in excess of £11 million. Gail Scholes, CEO of Robin Hood Energy, said: “There is no doubt the the UK energy market is experiencing unprecedented times, especially with another privately owned energy supplier ceasing trading last week. “However, under the public ownership model we’ve seen our customer numbers grow by over 30% in the last 12 months. We also returned a small profit last year which was wholly reinvested back into our customers, whilst increasing our headcount by 65%, enabling us to provide local jobs for local people. This could just be a bump in the road, or a sign that cheap energy supply is an unsustainable business model, even for council-owned companies. If it’s the latter, we could see many more energy firms going bust before market conditions improve. What if my energy supplier goes bust?